The existing house was a 1970’s 3 bedroom cavity wall construction with a small detached garage to the front. 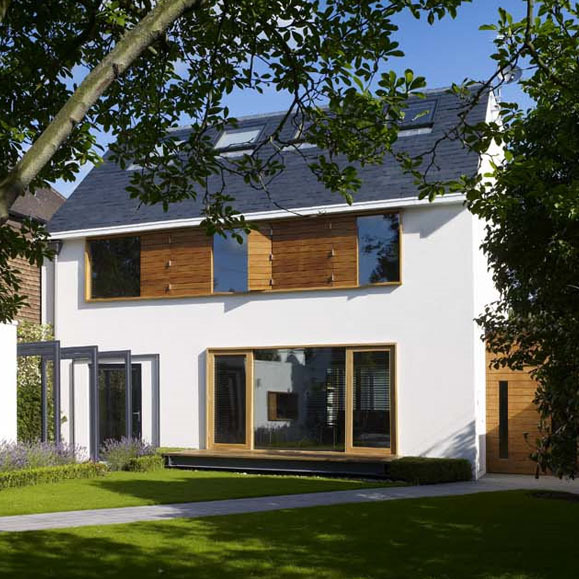 All the internal walls from the house was removed and a single storey rear extension was constructed and linked to a new garden room with a glass corridor. The front garage was reconstructed and linked to the main house with an identical glass corridor and an additional floor was constructed inside the loft space.